Multiple reports out of criminal justice and the medical community repeatedly recommend Random Testing Programs, also meaning varying drugs are to be tested. The ASMA report indicates that drug abusers will always look to subvert the test if they are not on board with reforming their own habits and improving their life circumstances. 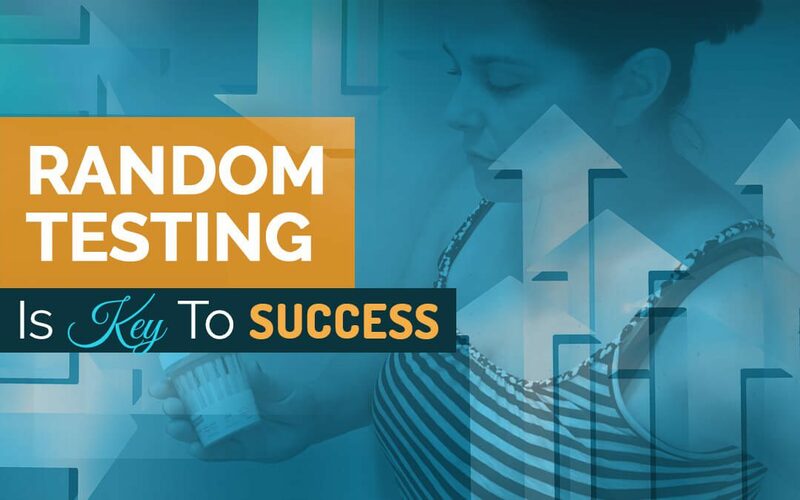 The American University, Drug Court Clearing House Report for the US Department of Justice on benefits of random testing further bolsters this report: “Random Testing prevents participants from planning ahead and avoiding detection.” They cite the need to randomize all procedures. If an offender is aware that the State is only testing for a single drug and on certain timing, they will often change what they are using and/or plan a usage pattern based on testing timing in relation to duration of drug in the system. While single dips tests seem less costly, ranging in cost from $.38-$.75/unit, single drug testing risks that offenders will quickly realize they are only tested for a particular drug or limited drugs and immediately move to another drug that is not tested in the panel, defeating any real long-term program success and reductions in costs. People change their habits based on costs of drugs; i.e. some people get into black tar heroin because it is cheaper than a prescription they started on and also provides a stepped up pain relief level, depending on their usage. People change their usage based upon learning about other or new drugs. “high” due to shifts in dopamine in the body. Random Testing is NOT just about timing, it includes a varied range of testing as cited by the ASAM report and other reports. A frequently cited example of a successful criminal justice release drug testing program, is a study and 4 year follow-up by the University of Maryland for Corrections, Probation, and Parole within the State of Maryland. In the Maryland Program, the University report showed that after 4 years, the rate of non-compliance with the drug testing program declined because offenders learned that the random testing pattern would eventually detect their illicit drug use and they would be sanctioned. This resulted in the ability to reduce testing costs. The study showed this resulted in reduced rates of recidivism. Maryland used a Break The Cycle program used in some other states and localities. even if they reduced the frequency of testing over time. This program was attributed with a decrease in recidivism by identifying drug abuse problems before offenders could use drugs or commit a crime again.The multi-drug testing panels stayed relatively robust, even at reduced testing intervals, since data showed that the percentage of change in drugs used from year to year by abusers was not consistent and changed according to many contributing factors. Looking For Additional Information Regarding Randomized Drug Testing?